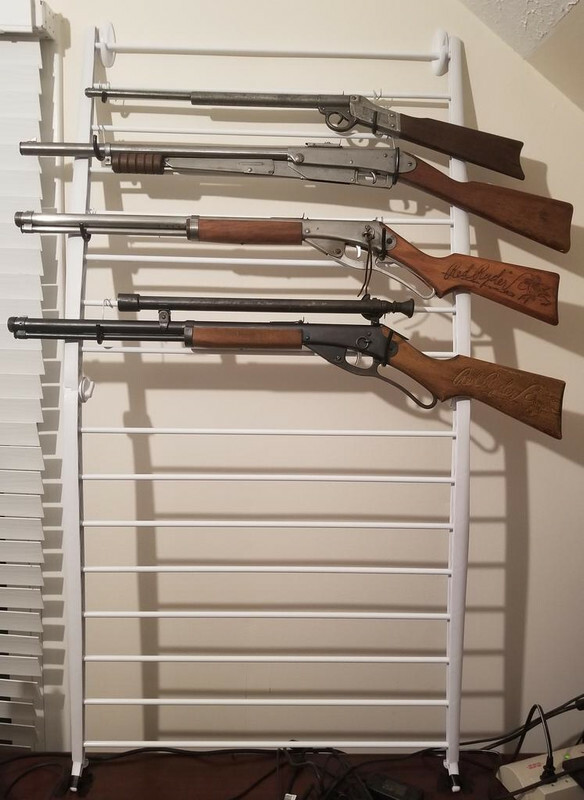 Quote Reply Topic: 'Economical' gun racks..
For a while I've been trying to come up with 'frugal' ways of displaying / storing some of my Daisys. This past weekend wandering Walley world I had a brainstorm, leading to a rack that can hold 7 long guns, with an all in cost around $20. I started out with a clothes drying rack. I added two of the 3M two sided tape wall hooks to keep the top stable, and taped the feet to the table to keep things from shifting. Then I made hooks out of 14 gauge galvanized wire, put 1/4" vacuum hose over the wire so there was no wire to gun contact, and, well, that's it! For the price and effort, think it looks okay. 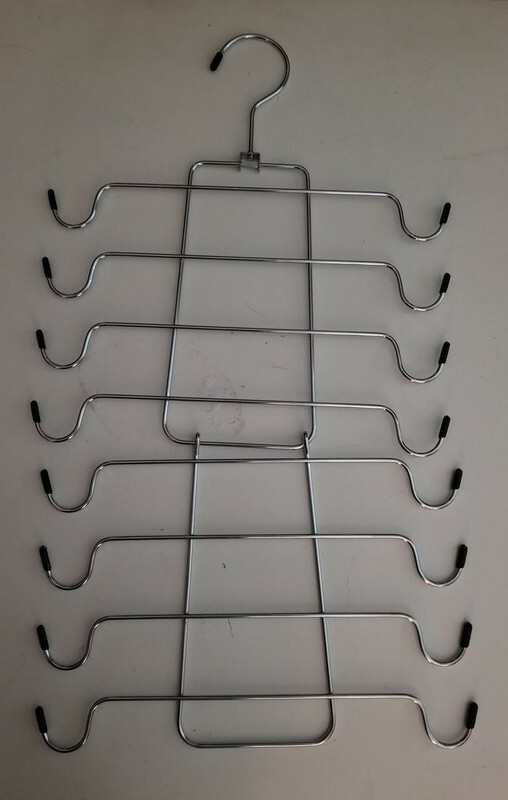 Nice that since you make the hooks you can adjust them for what ever length you need, not always an option with many other pre-made systems. 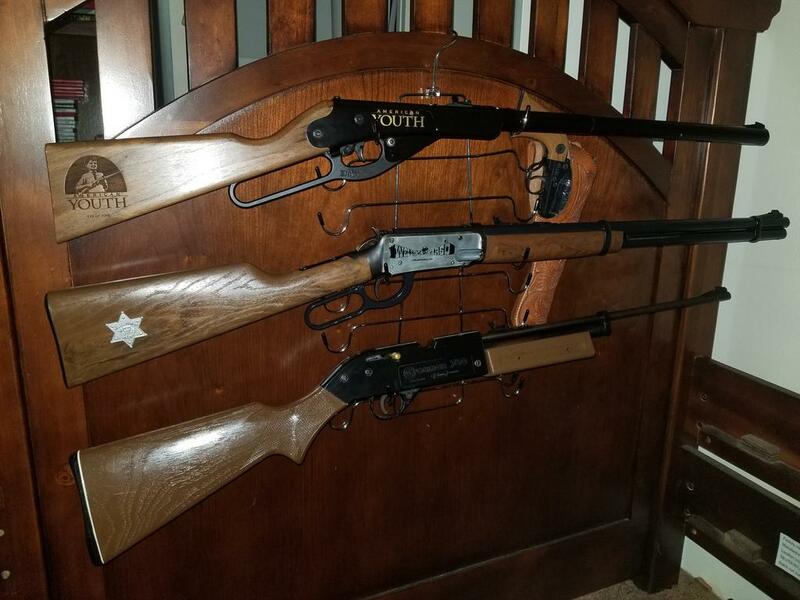 Cool rack- and cool guns on display! Here's another one. It started its life as a cheap camisole holder (2-pack for $12!). 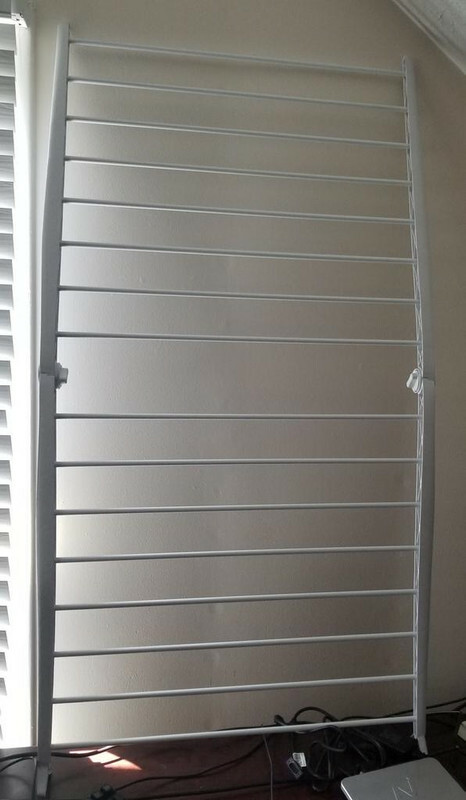 Bent some of the arms out, and made a nice rack for under my son's bunk bed.